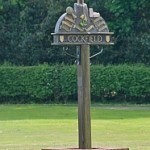 Cockfield Parish Council meets in the Village Hall at 7.30pm on the last Thursday of the month (except August and December). Members of the public are very welcome to attend and to speak on any matters which concern them. Normally, both the County Councillor (Cllr Robert Lindsay) and District Councillor (Cllr Clive Arthey) are also present.